Make the most of your bet on the El Clasico with Barcelona v Real Madrid Free Bet Offer! Football’s biggest rivalry is set to go down this Saturday in the Spanish top flight, which will once again see Lionel Messi go head to head with Cristiano Ronaldo. The Argentine will be on familiar ground at the Nou Camp, so he’ll have the support to all out against Los Blancos; however the Portuguese star has a history of finding the back of the net in the Catalan home, despite it being the most hostile environment for him. 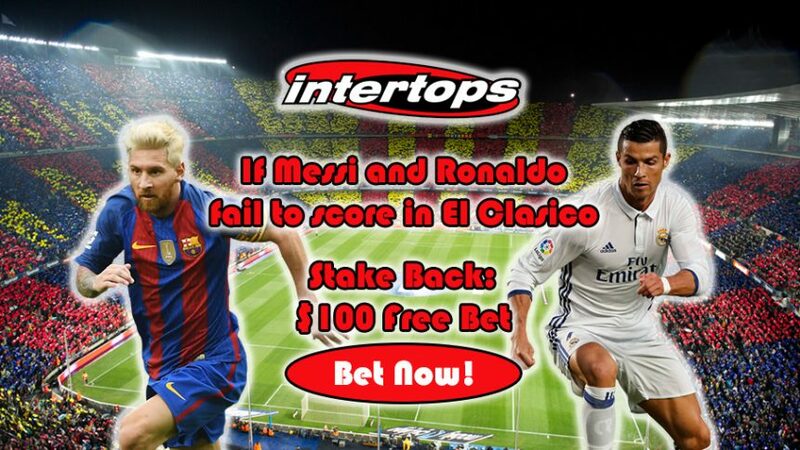 But in the event that both Messi and Ronaldo fail to score a goal during the highly-anticipated clash, Intertops will give you a Stake Back up to $100 Free Bet with the Barcelona v Real Madrid Free Bet Offer. Thanks to this, no matter what team you support for victory, you’ll be properly ensured should either of the superstars fail to deliver on such an important night. 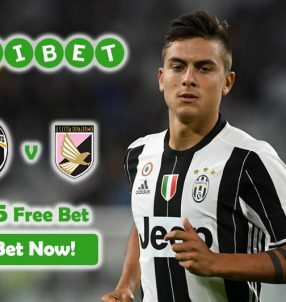 Note: to claim the Barcelona v Real Madrid Free Bet Offer use the following Bonus Code: WEEKLYSB. Real Madrid are gunning for their first La Liga title since 2012, and by the way this campaign is going so far they’re looking to steal the limelight away from Barcelona, who have won three of the last four championships. Zinedine Zidane’s men are in first place with 33 points, while their arch-rivals are in second trailing behind with 6 points less. Should Los Blancos seal a victory at the Nou Camp, it could really dampen Barcelona’s title hopes, which would have been their third successive league triumph. In terms of all-time leading goalscorers in La Liga, Messi maintains first position with 321 goals in 358 appearances (ratio of 0.897 goals per game) since making his first team debut in 2004. Ronaldo on the other hand – who joined the Spanish top flight in 2009 – is right behind the Argentine on the leaderboard with a staggering 270 strikes in only 246 matches, equalling a ratio of more than a goal per game (1.098). Additionally, Messi already has 9 goals in 10 appearances for the Catalans this season, where his Portuguese counterpart has recently found his form – after a slow start to the new campaign – allowing him to reach 10 goals in as many matches in La Liga. Taking these stats into account, it’s safe to say they’re prime candidates to find the back of the net for this weekend’s El Clasico encounter. 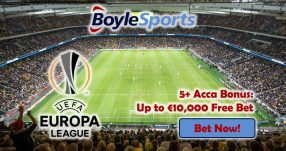 But just in case that doesn’t happen due to some curse, insure your wager on the game with Barcelona v Real Madrid Free Bet Offer. Insure your wager on El Clasico before this weekend’s showdown with Barcelona v Real Madrid Free Bet Offer! 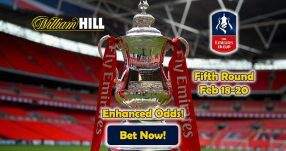 Get your Barcelona v Real Madrid Free Bet!